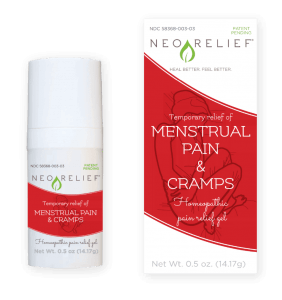 Soothes pain and inflammation with specially formulated botanicals and minerals. A 97% natural alternative pain relief gel for active living and those seeking alternative to NSAIDs and/or narcotics. 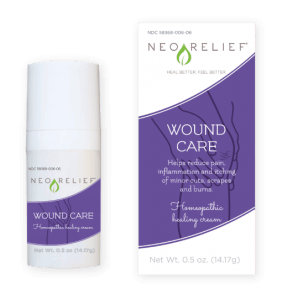 NeoRelief for Pain is a gentle, clear, odorless 97% natural pain relief gel for muscle strains, back pain, knee pain, and arthritis-related pain. 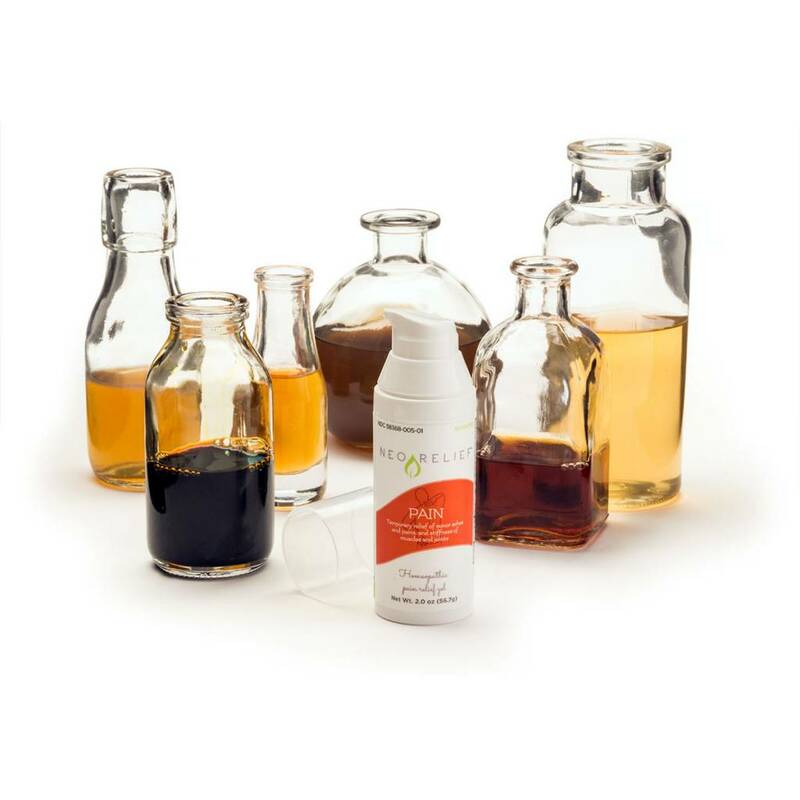 Topical analgesics: Actaea, Aesculus Hipp., Belladonna, Bryonia, Caulophyllum, Causticum, Cimicifuga, Gauiacum, Hypericum, Kali Carb., Ledum, Lithium Carb., Rhamnus Calif, Rhododendron, Rhus Tox., Ruta Grav., Salicylicum Ac., Stellaria Med. All active ingredients are HPUS and in equal parts 4X potency. 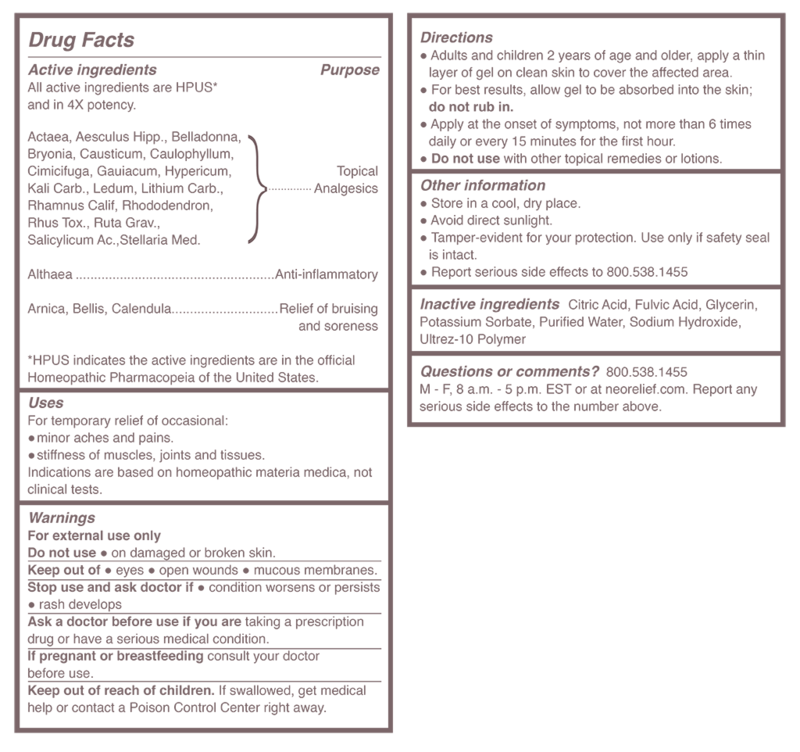 HPUS indicates active ingredients are in the official Homœopathic Pharmacopœia of the United States (HPUS), following homeopathic standards of strength, quality, purity and packaging. For more information on our ingredients, refer to our FAQ Page.